I have never been busier in my life since graduate school began. 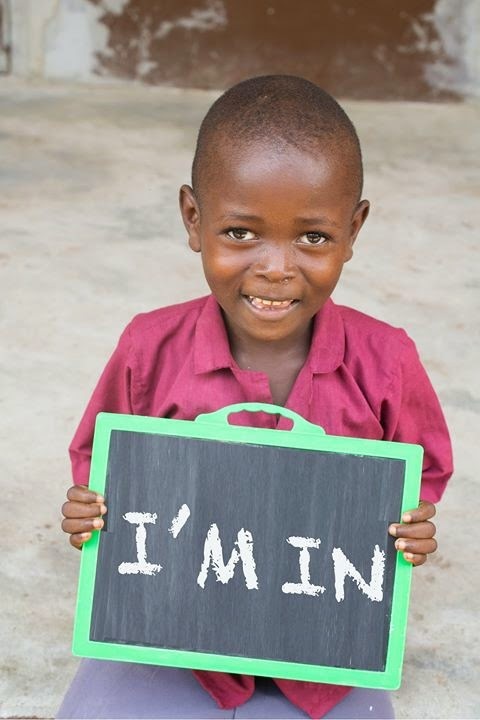 Flying, writing, family, and school But we can never be too busy to give hope. I hope all of you in the Seattle area ... and commuters too... will join me in a night of hope for the families of Sierra Leone. 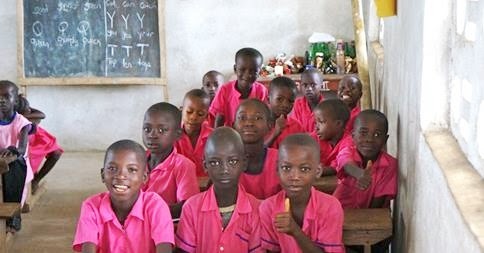 to Sierra Leone, Africa at the same time! You are invited to a very special evening at Emerald Downs benefiting The Bridge of Hope! We are rolling out the red carpet for you to enjoy live music, a delicious dinner, some inspiring guest speakers not to mention a chance to bid on some terrific items, including Seahawks tickets, Cougar and Husky items, a Mount Rainier climb and lots more! Join us and become part of the team on October 17th as we gather together to help bring hope and healing to the people in Sierra Leone. 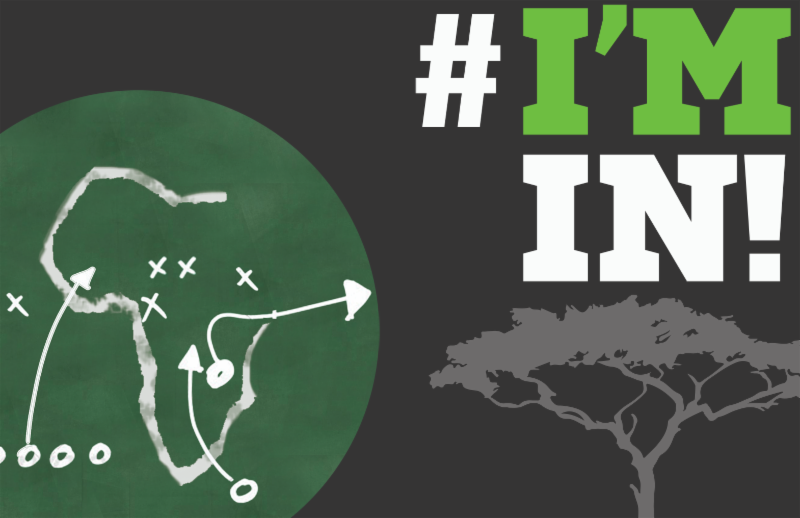 You will get a quick update on the Ebola situation and how it is impacting our team, learn more about the progress that is being made despite these obstacles and hear first hand how you can make a difference! Tickets must be purchased in advance no later than October 7th. If you have any questions, be sure to contact us at the email or phone listed below. We hope you will consider inviting a friend and joining us for a fun evening that will make a difference in the lives of so many. Let me know if you can make it and we can sit together! This is an Flight West "fun"draising event on Lake Washington. But beverages and food are free. 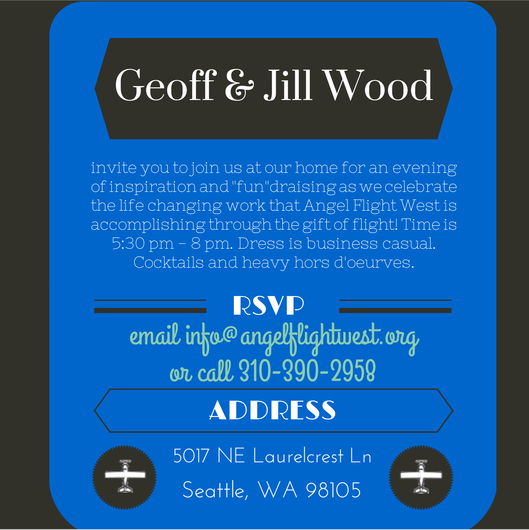 Angel Flight West member Geoff and Jill Wood are hosting an event to celebrate the life-changing impact that Angel Flight West is having on the lives of those the angels of the Pacific Northwest fly. Stories from pilots, healthcare workers, and patients will be shared over drinks and hors d'oeurves. It will be a fun and inspiring evening and Geoff and Jill would love for you to join them. Whether or not you can make it, please share on Facebook by clicking HERE, or forward this email to invite others. 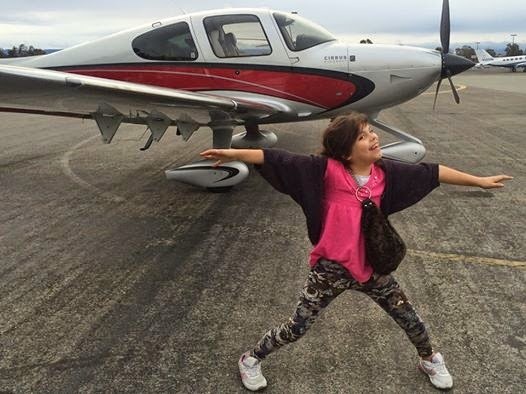 They are trying to reach those that may have not heard about Angel Flight West. so they can plan accordingly. And I hope if finds you spending the afternoon with a group of GREAT people! 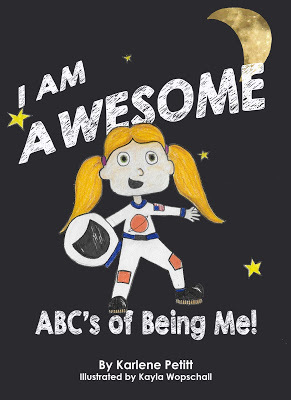 So there I was in my first week of ERAU with an outstanding group of people and one of the students said, "I wrote a book too." And what a book he wrote. But I can't tell you about that yet because you have to meet the man behind the creation first. Troy may look like any other student, but he's a super dad, entrepreneur and all around great guy, with an impressive background. I would have dug deeper with stories... but he would have to kill me if he told me. He provided human intelligence and counterintelligence support to the Department of Defense as a career Army officer, and served in over 60 countries around the world during his career. Transitioning to industry, Troy specializes in developing strategies to implement advanced technologies to improve operational processes. He held senior positions in several technology companies, and is currently providing consulting services through his own firm, Windrose Aviation. Troy earned an M.S. in International Management from Troy State University, and plans to focus his research on extending current practices in safety and human factors to civil and commercial operation of Unmanned Aircraft Systems (UAS). 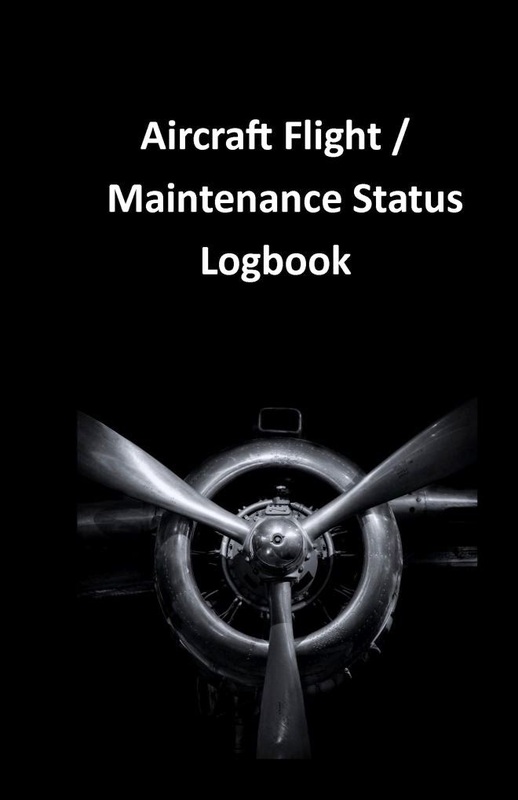 "This book was the product of my searching for a logbook to record all the things that we need to keep track of as aircraft owner’s and pilots in command. 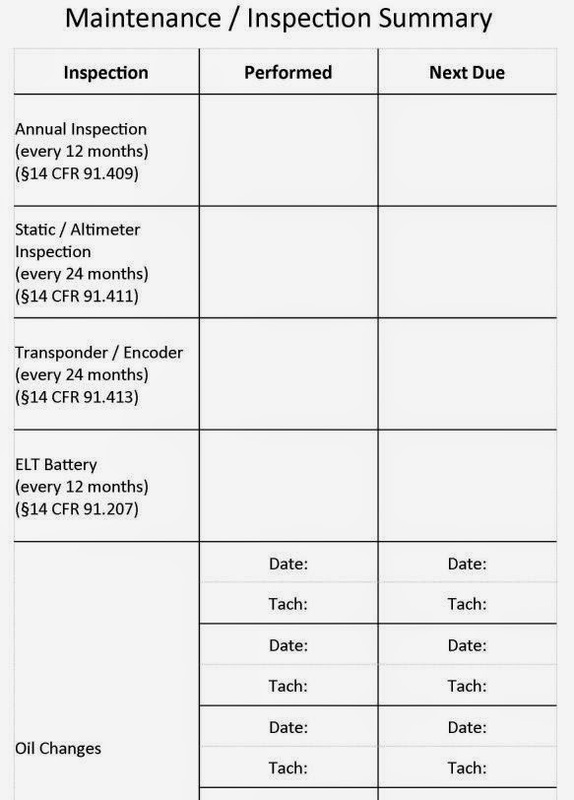 For example, without carrying a maintenance logbook, which is normally best left in the hangar, do most pilots know when an oil change is due? Or when the last VOR check was conducted? In my search for a suitable logbook, I found that many of the pilots I fly with had the same frustration, and most had a ratty notebook in the cockpit with them to jot things down. I created a section for maintenance items, and also copied the FAR that talks about owner/pilot maintenance. Instead of just providing a place to write down the origin and destination of a flight, I created a space in the Flight Record so that the pilot could note the fuel needed, available, and reserve that should be available on the planned flight ahead. 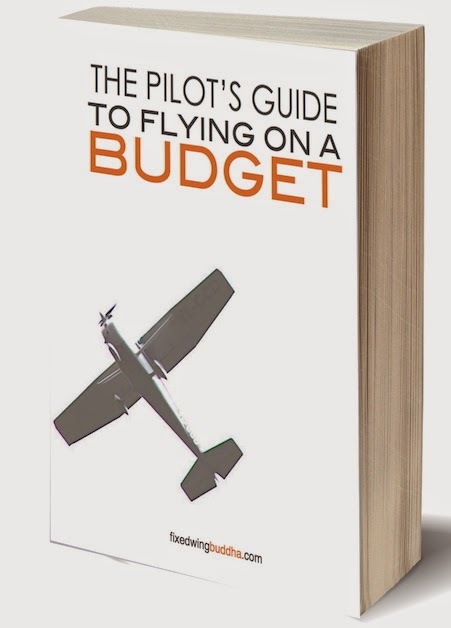 As Fuel Starvation remains a killer, I thought any little help for a pilot to think about that subject would be useful." 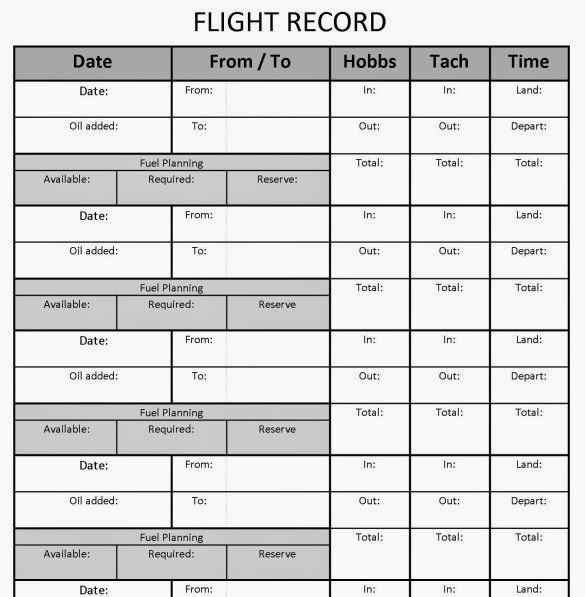 You can get your own Aircraft Flight / Maintenance Status Logbook at Aircraft Spruce and PilotMall! Enjoy the journey and keep a record! I often get questions from readers, and this one is especially interesting as the question involves aviation and the Sea. I'm unable to answer it. So, I would love if you could help my friend and see what we can do for him. "55+ years in the seafaring profession with the last 30 prior to retirement as a harbor pilot in SW Alaska it has occurred to me that except for speed and altitude there are many similarities between our chosen professions. 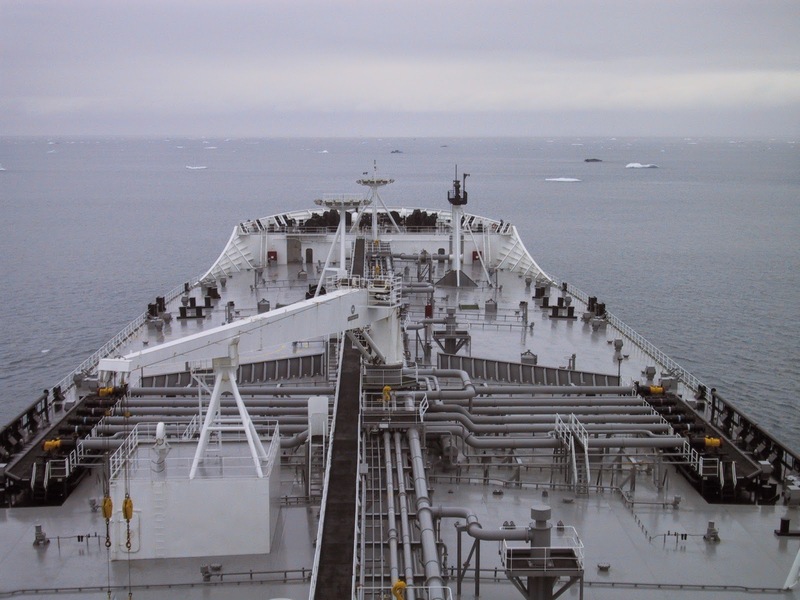 Of course, pilotage in Alaska often involves charter flying to get to and from the job so many Alaska harbor pilots have nearly as much time observing in the “right-hand seat” as actually engaged in pilotage on the bridge of a ship. This produces a reasonable basis for comparison of our professions. With a part-time retirement job as a ship-handling instructor/evaluator, it has been interesting to incorporate various aviation narratives into BRM-P (Bridge Resource Management for Pilots) simulator sessions. Pilot groups we work with at Pacific Maritime Institute in Seattle and AVTEC in Seward, Alaska find these comparisons useful as automation finds its way onto the bridges of merchant ships. Of particular interest to harbor pilots has been the (now dated) Vimeo of the American Airlines Automation Dependency lecture entitled “Children of the Magenta”. You, no doubt, are familiar with this. As it turns out, the maritime industry is probably now about where aviation was nearly 20 years ago when this lecture was given. ECDIS (Electronic Chart Display and Information Systems) on some vessels (mostly passenger ships) is being integrated with the auto-pilot, AIS (Automatic Identification System), ARPA (Automated Radar Plotting Aids), course-tracking, and (in some cases) collision avoidance to produce a system that replaces thinking with “button pushing”. Judging by your assessment of the aviation profession, we might say that both of our professions risk being automated into mediocrity. Having learned my profession in Alaska in an era when a harbor pilot, as famously described by Mark Twain, “…was the only unfettered and entirely independent human being that lived in the earth” this transition to “button pushing” is to be viewed with a degree of skepticism. Anyway, my question – Are you aware of any similar or updated versions of the “Children of the Magenta” That might be adaptable to the maritime profession?" For those who have not seen Children of the Magenta, click HERE. If you have any ideas, please share them with James. Thank you!! "Life is not just a series of calculations and a sum total of statistics, it's about experience, it's about participation, it is something more complex and more interesting than what is obvious." Last week I flew to China and was in internet lock-down. A challenge when you are attending school on line. I landed Friday morning, worked on my homework, and Saturday my husband and I drove to Bend to see the grandkids. The goal... pancakes and playtime at the park. 12 hours on the road with 18 hours there. Many wonder why the long drive for such a short visit. I say, better to go for a short time than not at all. How do you place a time value on smiles? Today I am flying to Hong Kong. I haven't been there since NWA 747 freighter days. I also feel a little behind on my reading for school, but an early wake up and marathon at the gym before I fly, and a full day in Hong Kong should catch me up on that. About school... two weeks down and rolling into week three. I'm still here. :) Remember that drawing from the training manual where the student's head is open and the instructor is pouring information in? That's how I feel with statistics. Love it... but I wish I had more time! Human Factors...is awesome. So far, so good. Now... Time to Fly. Enjoy your week! And make sure you drop by Wednesday, as there is an important question. Heide began flying as a young child with her father. She received her private license in high school and soloed before she was eligible for her driver’s license. 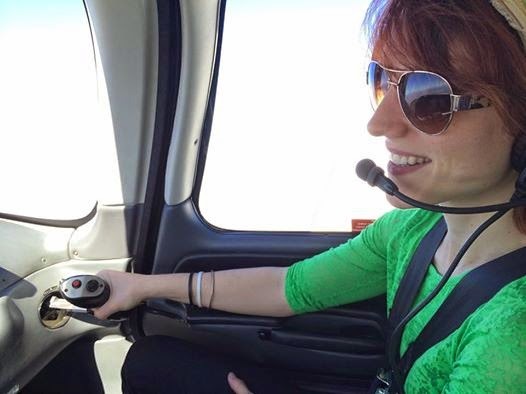 She received her Bachelor of Science degree from Florida Institute of Technology, and never wavered from her goal of becoming an Airline Pilot. After graduation if 1991, she began an aggressive pursuit of experiences which brought her to Kittyhawk Air Tours. 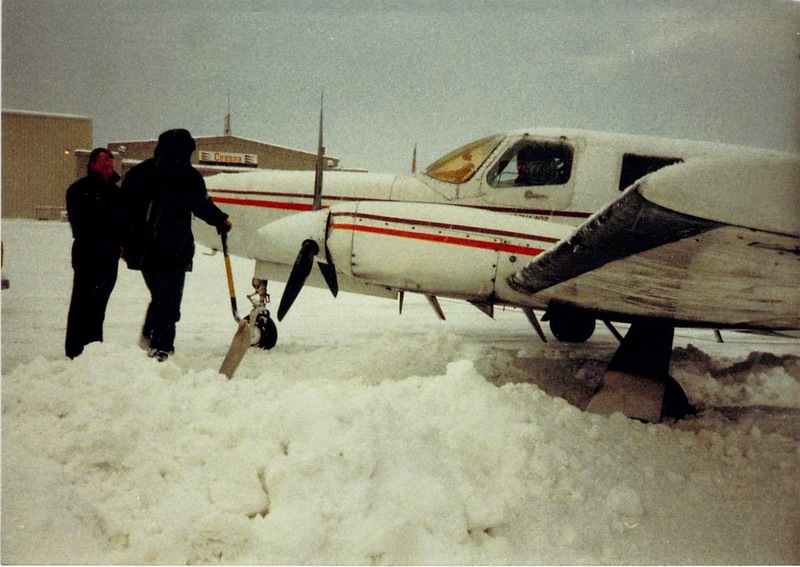 Later that year, she transitioned to flying a King Air 200 for Landmark Communications, and then from 1992-1994 she flew for various operators in Alaska. She even transported auto parts in Casa 212’s and MU-2’s. Just short of two years at Trans States Airlines she was hired by TWA in 1996. In 1997, Heide was hired by United Airlines. She is currently based in San Francisco where she is a first officer on the 747, which takes her mostly to Asia and Europe. Heide grew up in Virginia Beach, where her mother was Mayor of the city for twenty years. Her father was Chairman of the Virginia Aviation Board; Roger Oberndorf was also a pilot for United Airlines. Politics are an important part of Heide’s family history and she is right at home in her pursuit of creating change for the pilot group. She is an active ALPA member, the largest pilot union in the world, and has served in a legislative capacity for ALPA, working to improve the labor contracts and conditions for pilots within the union. In 2012, Heide and a small team of experts leveraged political strategy, friends on Capitol Hill, and White House insiders to expedite the Railway Labor Act process during joint contract negotiations for the United Pilots. That plan helped ensure that there were contracts in early 2013. It's hard to imagine where the 12,500 United pilots would be today without her efforts. Heide said, "After experiencing first-hand corruption inside ALPA, I launched a campaign in 2014 to run for ALPA president." Heide is the first rank and file, and woman, to run an actual campaign in a democratic manner versus the system currently in place: where the president is elected by the board of directors. I've yet to meet Heide, but from our phone conversation I believe she is dedicated to bringing back great paying pilot jobs that have been lost to ever expanding international alliances, code sharing, revenue sharing, profit/loss agreements and joint ventures that affects ALPA’s more than 51,000 members. 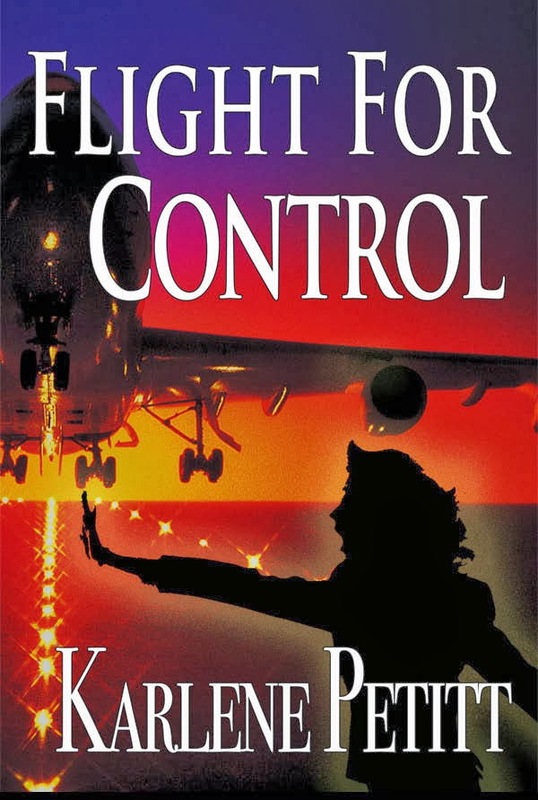 She is passionate about "taking back the Safety department from management politicians and restore it to the preeminence that former ALPA brethren worked tirelessly to maintain." If you're an ALPA member, Tell your LEC leaders that you want them to vote for Heidi Heide Oberndorf. 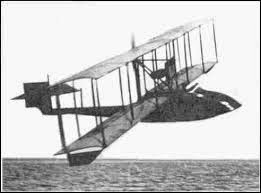 1st JANUARY 1914: A divine pilot takes off for the first commercial flight in the history of aviation. Facing the small town, only separated by a sea inlet which actually shapes an elongated bay, Tampa: Thirty five miles of white sand…The Strawberry Festival in March, and the Pirate Festival in February (an old den for buccaneers, it was). Between, limpid waters, two hundred different species of fish, and above and around, the most diversified variety of birds that one can find in Florida. And this is precisely a strange bird that Antony Habersack Jannus* gazes at, on this 1st of January 1914. Eight o’clock in the morning, a clear sky, the ambient temperature still on the fresh side, that won’t last as the sun has risen and quietly ascends above the sea, which now glistens, short golden ripples shaped by a light breeze. A true postcard, with the famous blue sky of Florida as a premium! Towed to a light wood gangway which has been connected to the municipal jetty of Downtown St Petersburg, a Benoist XIV, serial number 43. Her name: “The Lark of Duluth”. Thomas W. Benoist, born in Missouri in 1874, is an aircraft manufacturer since 1908. 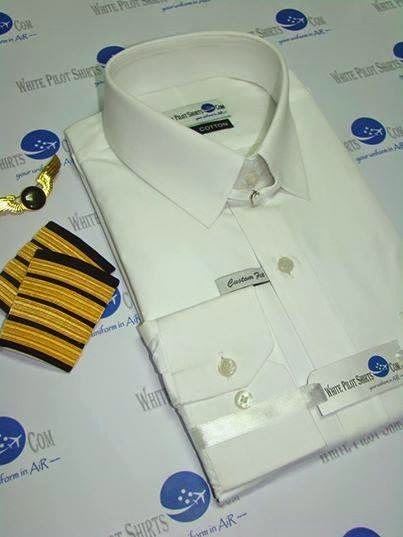 He is in fact the first ever aviation entrepreneur in the history of aviation. 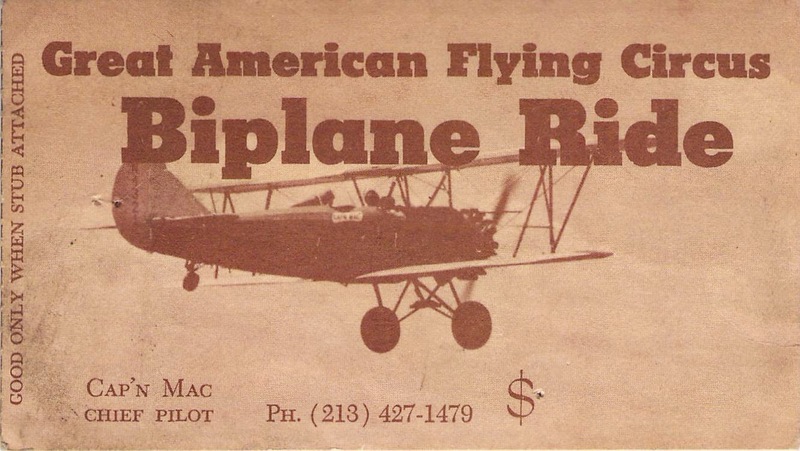 And he does not only build aircraft, he also flies them: he became in 1910 the first citizen of st Louis to receive a pilot’s license from “Aeroclub of America”. This morning, another “first” seems to take shape, as testifies a crowd of curious people who occupy the jetty (St Petersburg Times journal will report three thousand onlookers, quite a number when considering that the town only cumulates four thousand and seven hundred citizens at that time. 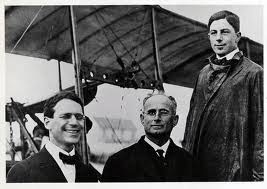 Benoist stands together with Jannus, who is his chief pilot, and has also actively participated to the construction of the aircraft. Both look at her, tenderly appreciating their little marvel, lazily balanced by peaceful wavelets, lightly nudging against the gangway, headed full north-east towards Tampa, on the opposite side of the bay. As a matter of fact, three hours are needed to reach Tampa by train from St Petersburg which is lost, nobody remembers why, at the very edge of a barren peninsula bending between the Gulf of Mexico and the Bay of Tampa. And an infinite time with the steamboat… Before, the only option was a day horse ride! And now, thanks to these two young and entrepreneurial chaps, the travel could take considerably less time: Bird’s eye, only seventeen miles separate the two towns. The Benoist XIV is a nice seaplane, with her elegantly shaped slender hull, hunched up and ready to spring out of the water, legendary wildcat equipped with biplane cloth wings, the lower one being fit out with small floats at each end. "Departure time is 10.00, Tony", reminds Benoist, " … as soon as our passenger has arrived and is seated aboard, and he should arrive soon». "Yes boss", obediently responds Jannus, "… and all will be fine», he adds, but for whom?" That is it, the first commercial flight in the whole history of aviation is about to be launched. The dawn of paying air travel! And here he comes, the very first passenger (well there is only one, yes it is a beginning): The former mayor of St Petersburg, Abram C. Phiel, who vigorously shakes hands around, a well practiced exercise, - then assuredly jostles across the denser crowd who acclaims him. Benoist introduces Tony to him, who assists him to seat himself on the right seat. "How long to reach Tampa?" asks the distinguished gentleman, who has cashed out a four hundred U.S. dollars cheque to the new airline for this historical but costly short hop. He actually is the number one passenger of a plane to pay a fixed price** for being carried. 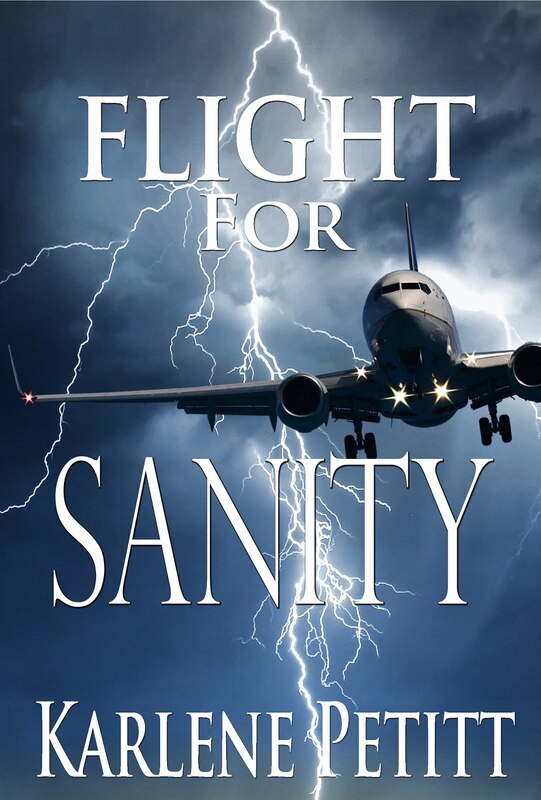 He positions himself inside the plane, cramped against his passenger. Jannus looks at Benoist, who reads his watch, a Breitling which never leaves him: five minutes before ten, time to go! Benoist rotates towards Percival Fansler, the operator of the route, who signals to wait. Impossible on this occasion not to deliver a short speech to the assembled crowd! "My friends, my dear fellow citizens, … what was impossible yesterday is accomplished today, and to-morrow prefigures the unbelievable!" He then shows the sky with his pointed finger. The mechanic launches the propeller, the 75HP engine starts smoothly and throbs happily. The moorings are cast off, a light wind drifts the biplane away to the left. Jannus gently blips the throttle. He leaves the gangway behind, sliding the aircraft away from the jetty where the crowd of onlookers roars enthusiastically, but the noise is concealed to him by the sound of the engine. 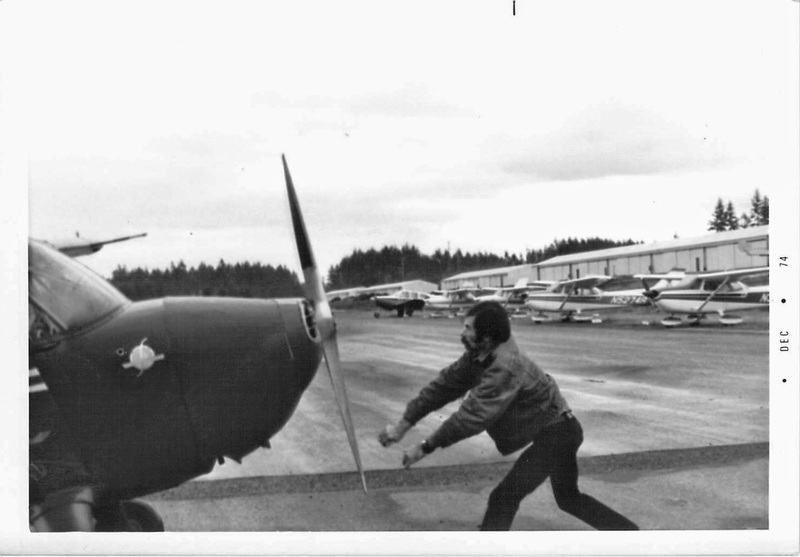 He positions the aircraft into the prevailing wind, fully opening the throttle. The seaplane accelerates, slowly at first but quickly gaining speed, slicing the water and shaping two long foaming wakes, celadon green streaks that dissolve into the marine blue of the deeper sea. The plane hops, strives to take off, but the sea will not relinquish her grip, seemingly not wanting to let her go. There it is, she lifts off a bit, splashes down, hesitates, and finally slips above, starting her slow ascend into the sky. Ten feet above the surface, Jannus levels her so that to gain speed, then slowly turns to a north-east heading. He then gently moves the stick towards him, just what is needed, a touch of rudder to the left, and the “Lark of Duluth” bravely climbs towards the Wild Blue, her unique paying passenger focusing his attention ahead, towards Tampa, still invisible and lost in the distance. 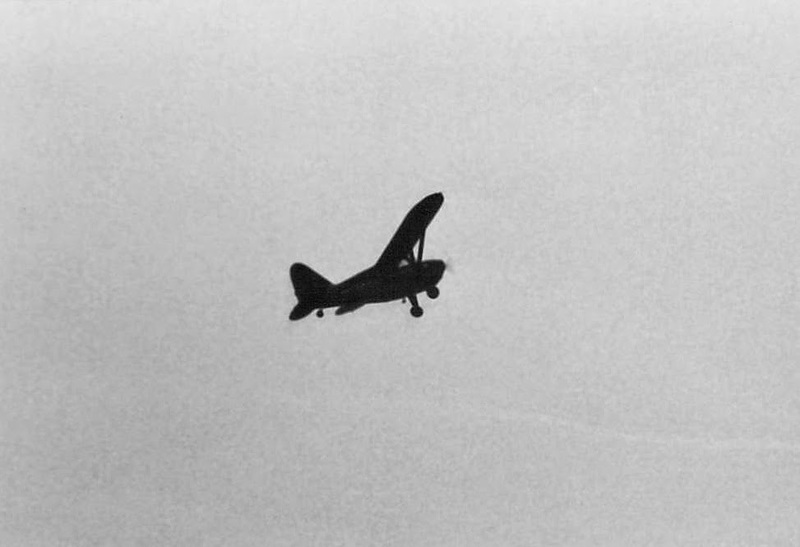 Jannus stabilizes at fifty feet, which he has decided will be his cruising altitude. Speed builds up and reaches seventy five knots. All good. He turns his head towards Phiel, who smiles and draws a victory sign with his fingers. Well the customer is happy, this is all what counts! The wind is whistling in the rigging lines, making conversation impossible. The sea is just under, ready to pull them to their watery graves: Jannus concentrates on keeping his height, a few seconds of inattention could be fatal. The coastline appears, a light beige line that ends the sea. Then Tampa emerges. The jetty is crowded here too! 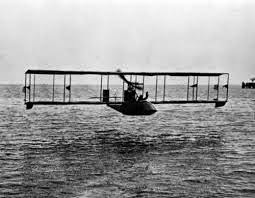 Jannus throttles back, and the seaplane smoothly looses altitude. When close enough to the shore, he turns a bit to his right, to face the wind. The water rushes up. He flares a bit, just a bit. Idle. The biplane splashes down and stops. It took them twenty three minutes. As planned. *Not to be mixed up with Janus, the Roman deity who arranges and commands beginnings and new paths. Well, why not actually! 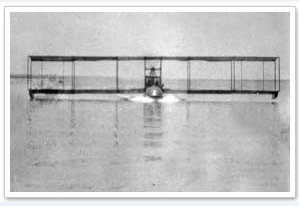 ** Following flights will be priced five dollars per passenger, and the « St Petersburg-Tampa Airboat Line », which had contracted on the 17th of December 1913 (anniversary day of the first flight of the Wright brothers) two Benoist XIV with their crew of two pilots each, this for a period of three months with two daily flights between the two towns, will succeed to balance the operation over that period. Contract will not be renewed once the tourist season ended. Sometimes the greatest challenges in life are the little ones that pour down all at the same time, making you feel like a drowned puppy that wants to hide in a corner until the rainstorm stops. But when the rain is going continue for the next week, month or year, there is no hiding. You have to get out there and get wet. How do you find the strength to persevere? The previous two months have been overwhelming and my days home could be counted on two hands. School started. Monthly grandchildren visits and extra help with babysitting due to summer schedules. Work taking me from Europe to Asia. From one flight to the next... I've got so much to learn in statistics, with a ton to read and in human factors. Then my Dad got sick and ended up in ICU last week, followed by my neighbor who was riding motorcycle this weekend while his wife was preparing for their 40th anniversary...The crash took his life instantly. There are many challenges greater than mine. 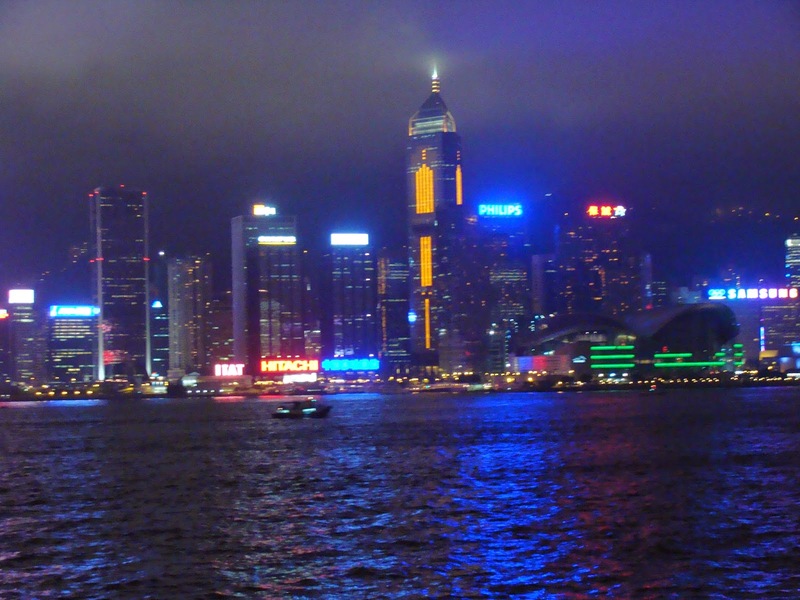 This week I fly to Shanghai... a four day trip. I'm not sure if I will be able to get on line. I purchased a program, GoTrusted, to make it happen. But time will tell. Thus, today started at 0400 to get the on-line portion of what needs to be done, done. I survived last week... one day at a time. A couple days I would say one hour at a time, but it's all good. I can't do it alone. Nobody can. I want to thank my friends for their support, and those who find a moment to make me smile. For the concern of those who email and check to see if everything is alright because I haven't been on line with social media for awhile...Thank you! My plan... Monday morning briefing on life and progress... one week at time. Thank you all for hanging with me through my first week of school and for understanding that I don't have time to chat on email, or visit twitter. But with your help you can keep me alive...tweet my posts for me, and share them on facebook. That would help so much! Why am I going through this? Because... I have one wish: To Never Have Another Airline Crash. While this wish may be impossible, we can move the line in the sand, dividing safe and unsafe, as far away from unsafe as we can. What else? 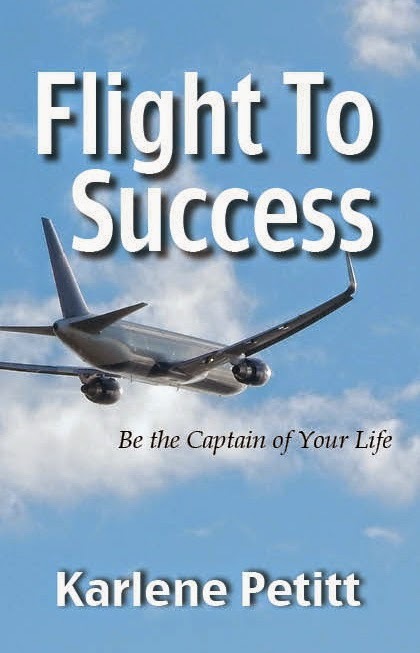 I also want to continue to support those who want the best career in the world: Flying! 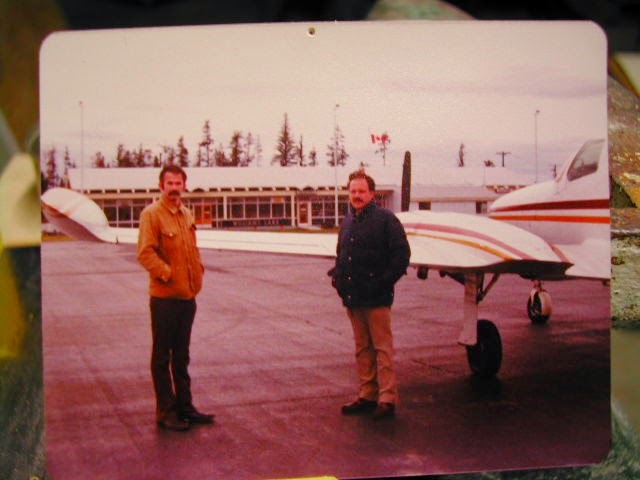 "I had been up a few times in small airplanes, but flying didn't inspire me the way reading about it did until I went for a short ride in an open-cockpit biplane in 1974. 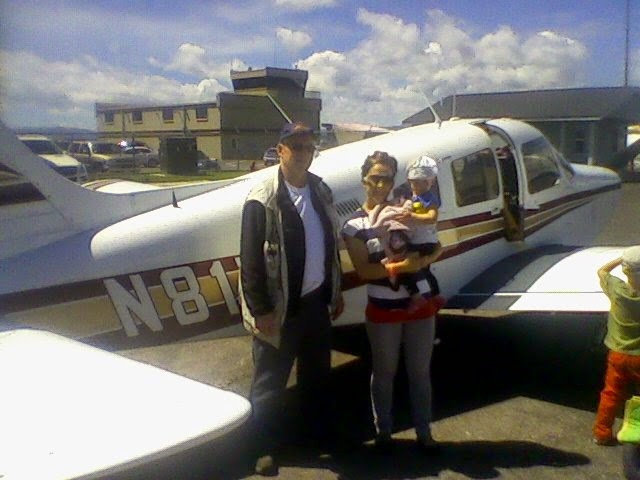 Before I was back on the ground, I knew I was going to learn to fly and earn my living in airplanes." Broke and Old... was there hope? "I was perpetually broke and had no idea where I'd find the money for lessons. 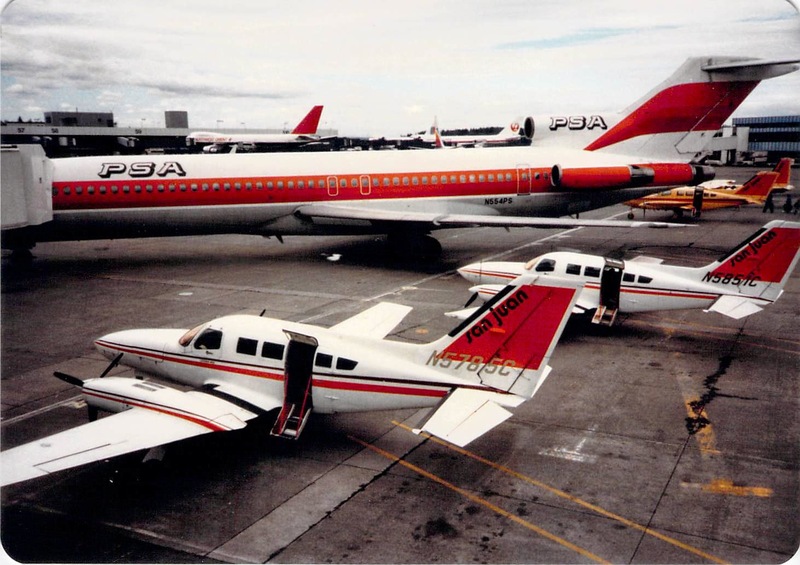 I was 32, too old to become an airline pilot in those days before deregulation increased demand for pilots." With my seniority, I went straight to the left seat when San Juan Airlines acquired Embraer Bandeirantes early in 1984. Two years later, the airline got rid of the crewed airplanes and I was back in the C-402 at that airplanes lower pay scale. In 2002, as I approached age 60, I downgraded to SO in the Airbus A-300. My birthday present was a 55% pay cut. DHL Airways was rebranded Astar Air Cargo in 2003, but it continued to fly in DHL livery. I retired five years later. 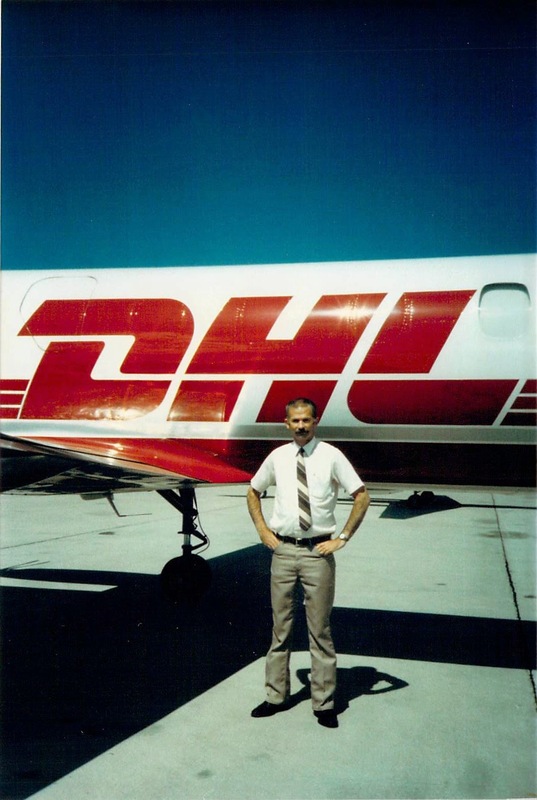 Soon after that, DHL abandoned DHL Airways/Astar Air Cargo, and the company is gone." I began keeping a diary of my flying life thinking that perhaps my grandchildren might someday wonder what Grandpa's job was like back in the days before computers and automated flight systems intruded between pilots and airplanes. I got in on the last of the best years for airlines, their personnel, and passengers. Logbooks, notebooks, and computer files span thirty-three years and three marriages. 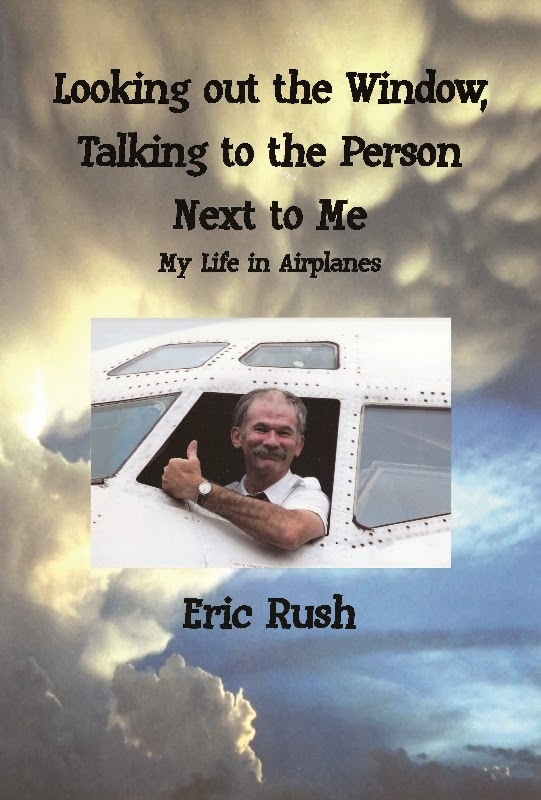 His book: Looking Out the Window, Talking to the Person Next to Me: My Life in Airplanes. 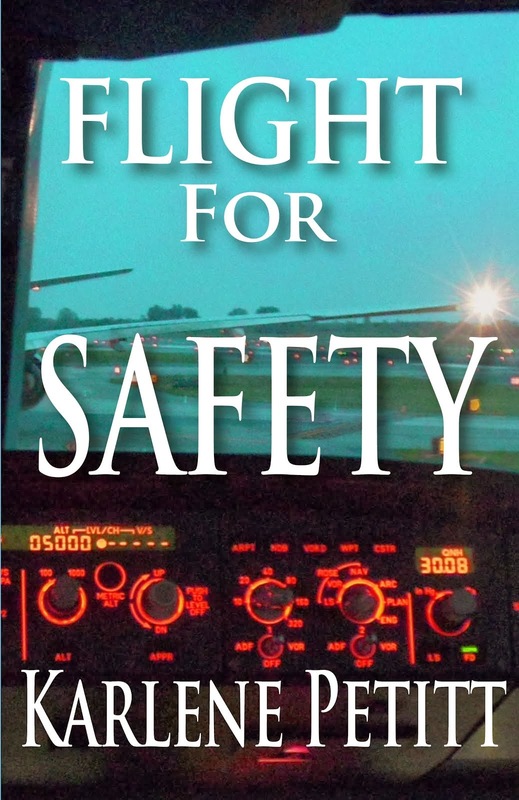 Eric says, "The title is from a pilot's joke: When I was a kid in school, teachers complained that all I wanted to do was look out the window and talk to the person next to me. So when I grew up, I got this great job where all I do is look out the window and talk to the person next to me." 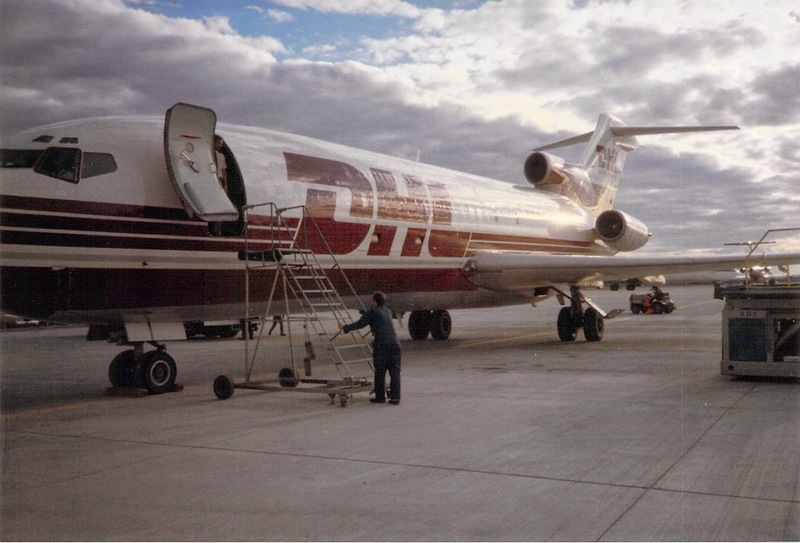 "The book is a well written tale of the trials and joys that accompanied author Eric Rush's rise from student pilot and plumber apprentice to Boeing 727 Captain. The writing is free of technical jargon for the non pilot; and for the pilot will prove to be an interesting read. For the lovers out there, it is a love story of a man who spent much time torn between the love of flying and family. It reminded me of both Bach's: Stranger To The Ground and Earnest Gann's : Hostage To Fortune. If Richard Bach or Earnest Gann flew the author's flights and lived his life, this is how they'd write the story." I'm looking forward to reading about his journeys! Enjoy your Journey... you are writing the story called life. He must have had a premonition... or he put something in the air, but exactly 10 hours after he wrote inquiring who won the plane his name was drawn. Was this the power of positive thinking, hopeful wishing, or the power of visualization knowing where he was going to place it? Not sure... but I laughed when I saw his name. Email me your address and a plane is coming your way! Turbo wants nothing more than to leave his boring life at the pound behind. Turbo is excited when he discovers his wish is coming true. He is being adopted! But when he learns he will have to take a plane to his new home he becomes scared. His fear grows worse when another dog tells him the plane is a big metal machine that makes loud noises in the sky. 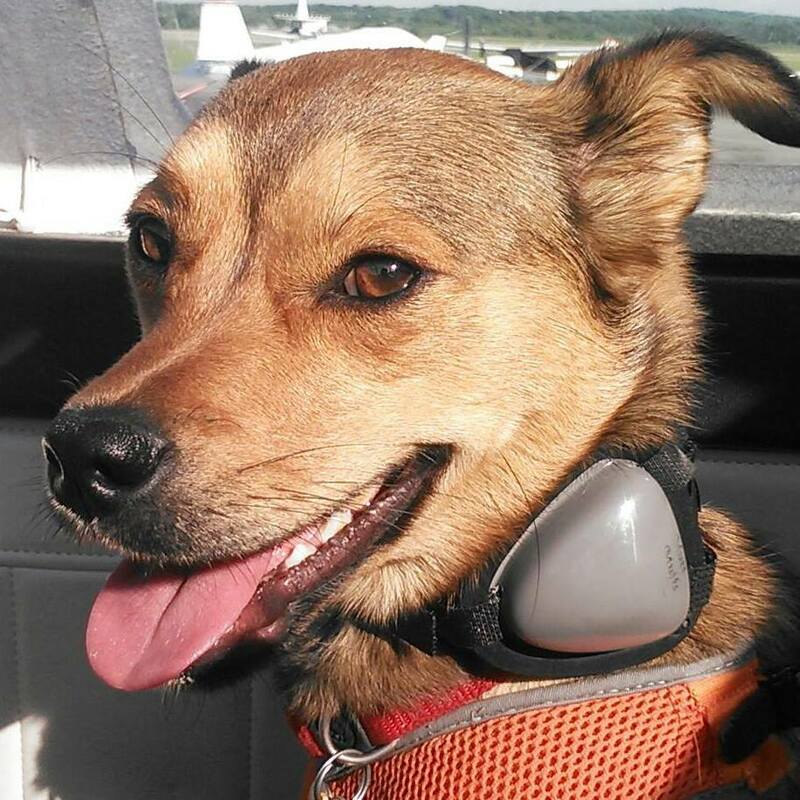 However, with the help of his new family, Turbo overcomes his fear and climbs aboard the plane. Faced with the noises and bumps of the airplane ride, he reaches for the control yoke and realizes he loves flying. Turbo the Flying Dog is a light hearted adventure series focusing on family, and overcoming ones fears. Written for ages four to eight. General aviation, animal rescue, and diversity are reoccurring themes. Sign up on the mailing list for pupdates here. Coming the 2014 holiday season! Landing in 49 States in Two Weeks! (MEDFORD, OR) The challenge of flying a private “general aviation” airplane to all 49 state capitals in the “lower 48” plus Alaska in just two weeks is one that most private pilots would never accept. It is however, the flight plan for an inspiring journey being attempted by two veteran pilots to raise public awareness about smaller, “municipal” airports that are an important business asset for cities and can be a gateway for bringing new tourism traffic into the area. Called the Capital Air Tour, the flight will be flown by Field Morey, an FAA-Certified Flight Instructor from Medford, Oregon, and Conrad Teitell of Greenwich, Connecticut, an attorney with the law firm, Cummings & Lockwood. The pilots will use Morey’s 2013 Cessna Corvalis TTx four-passenger airplane for the flight, departing Tuesday, September 16th, 2014 and landing in several states each day. Along the Capital Air Tour route, Morey and Teitell plan media availabilities in cities where that day’s series of flights concludes. They will be distributing information from the Aircraft Owners and Pilots Association to help demonstrate the value of local airports, while allowing electronic and print media reporters to get a close-up look at the airplane being used for the flight. An unexpected development occurred when Morey spoke with an elementary school teacher about the Capital Air Tour. 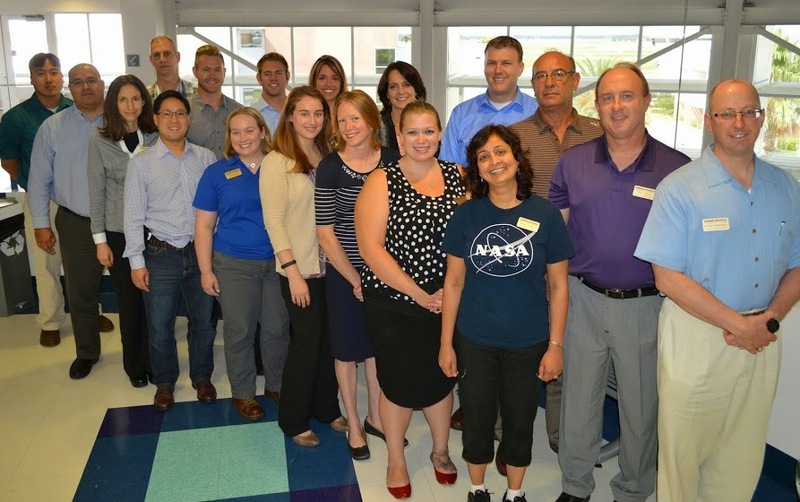 Because the entire flight will be tracked using an on-board Spot Generation 3 GPS tracking device showing the real-time location of the Corvalis TTx, the flights offer teachers a chance to give lessons in time, distance and U.S. state capitals. A complete itinerary with tentative schedule, along with the tracking map, is available for the public to follow on the Morey’s web site at www.ifrwest.com/cat. The airplane to be used on the Capital Air Tour is nicknamed “The Green Hornet,” and is equipped with a Garmin G2000 “glass cockpit” panel that includes NEXRAD radar for storm avoidance, anti-ice equipment, and terrain and traffic avoidance devices, along with the latest autopilot technology essential for avoiding crew fatigue. For more information, or to arrange media interviews at one of the Capital Air Tour’s final stops each day, contact Julie Pimentel at 541-344-2308 or julie@celestedaniels.com or visit ifrwest.com/cat. 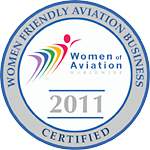 The Capital Air Tour is an inspiring and educational flight being flown by two pilots in a general aviation airplane beginning Tuesday, September 16th, 2014 in Medford, Oregon. The planned full itinerary** is available at www.ifrwest.com/cat. Pilots Field Morey and Conrad Teitell will be available for interviews at the conclusion of each day’s route at the arrival airports listed below. Because of the likelihood of diversions along the route to circumvent developing weather, actual arrival times may change. PLEASE NOTE: Due to security at most airports, access to the aircraft parking areas can be limited. 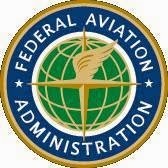 It is strongly recommended to call the FBOs listed on this sheet prior to arrival to arrange interviews with the flight crew of the Capital Air Tour. We have informed the FBOs that news crews may need access to cover this event. **ITINERARY SUBJECT TO CHANGE: This current itinerary may change due to weather along the East coast and in the Gulf States. 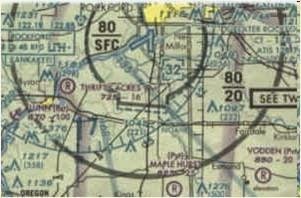 A major route change may be necessary prior to leaving Wisconsin on September 20th, and all media seeking interviews with the flight crew should monitor the flight’s daily real-time progress at: www.ifrwest.com/cat. A 46 year-old Italian pilot since "many years." And many years of excitement he has had. I love to know why and when the aviation bug hits and from planes to helicopters... he's giving back to our industry. "I've always been fond of flying since I was a child. The passion of flight is increased as a result of military service in the Army at Aviation Helicopters 5 ALE Rigel Casarza della Delizia (PN). Over the years my passion for flying was increased and I got the commercial pilot certificate for Airplane and helicopter with Instrument rating. 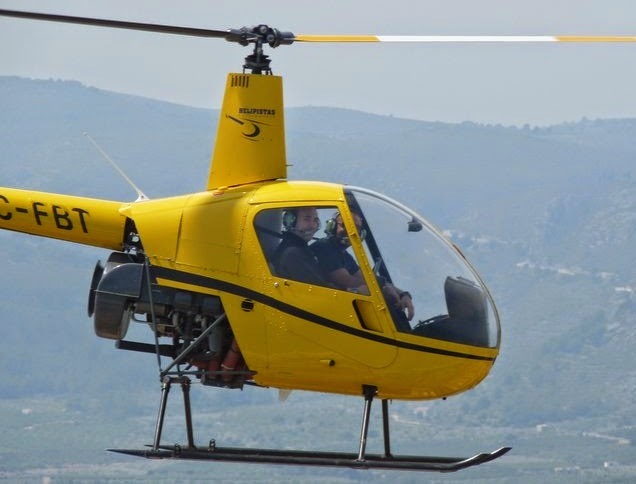 "I flew on different aircraft, including Jet Ranger, AS350, R22, R44, Bell 206 Jet Ranger, Seneca I PA34, PA28,CAP10 aerobatic, C172,C152 . Today I am a qualified instructor for both EASA and FAA. 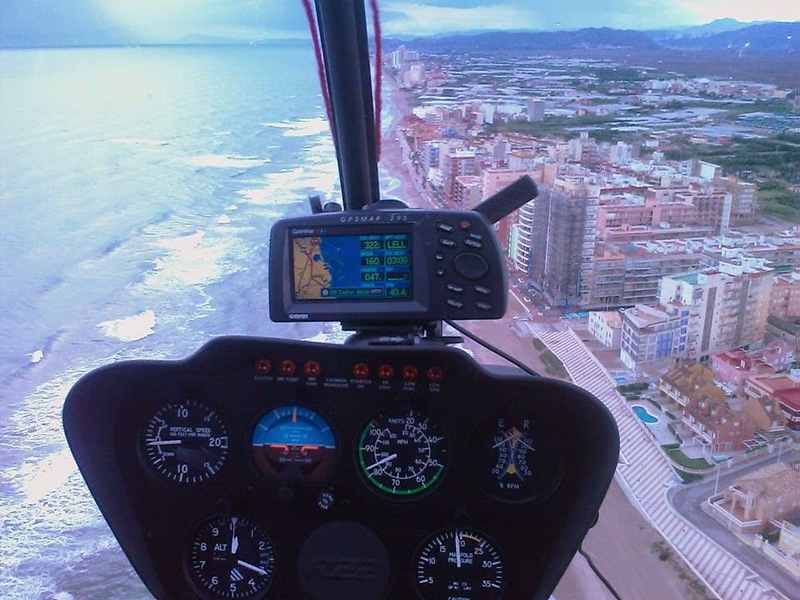 I work with several schools in Italy and foreign school, teaching flying and share the passion of flight." it is like to return to my very first flight." 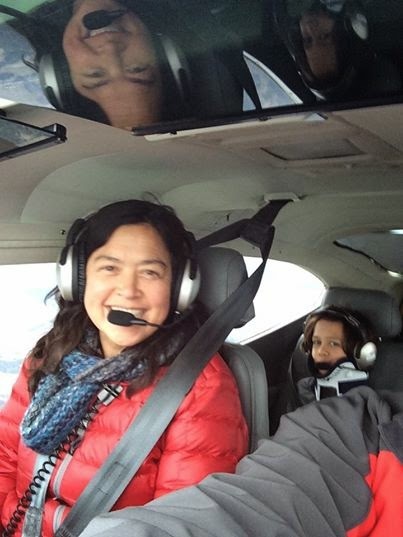 Pietro is a Flight Instructor on both helicopters and airplanes. 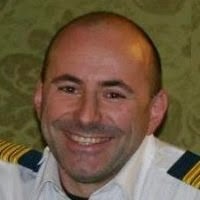 He teaches courses PPL / CPL/IR / ATPL RRobinson 22BII, R44, B206,AS350,C172, C152, Seneca I PA 34. Conversion or your license... he is your guy: FAA/EASA FROM CIVIL, MILITARY and ULTRALIGHT... min.requirements 3 Hours, average 15 Hours. International students enrollment, English, French, Italian, Spanish are welcome! You don't have to go to Italy to fly with Pietro! While he currently works for Butterfly helicopter in Macerata he also works with another school in Las Vegas: 702 helicopter. He teaches students in Italy and if they want FAA certificate he takes them to the USA in Nevada Las Vegas to get the FAA certificate.